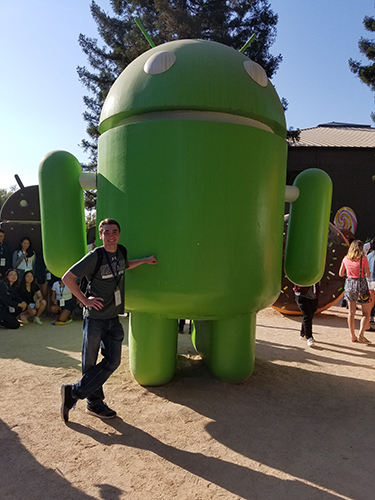 Carson Fiechtner, a junior in the Software Engineering program at Montana Tech, was invited by Google to visit their Sunnyvale and Mountain View campuses in the San Francisco Bay area August 12th through 15th for professional development and networking activities. Carson, from Miles City, MT, was invited after completing Google’s CodeU program. Fiechtner completed the program from February through May 2018. The 12-week program was for high potential students to strengthen their skills, gain more experience and learn industry best practices. Fiechtner built a web application from scratch, including code reviews, unit testing, and team meetings. 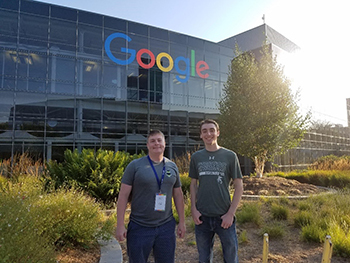 Keith Bocian, a Data Science and Computer Science major at Montana Tech, attended Google’s 2018 Summer Annual Scholars’ retreat, where he connected with current and former Google Scholars, as well as Google developers and HR professionals. 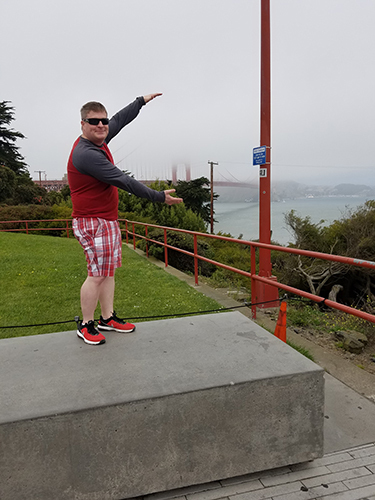 Bocian, from Helena, MT, was invited to the retreat as he was a 2017 Google Veteran Scholar, a program funded by Google and administered by the Student Veterans of America. Bocian was invited to visit Google’s Sunnyvale and Mountain View campuses where he met up with Fiechtner. Both students learned how to code at Montana Tech beginning with Fundamentals of Computer Science I (CSCI135), and have enjoyed learning from Montana Tech’s Computer Science faculty. For more information about the Computer Science, Software Engineering or Data Science programs at Montana Tech, please contact Michele Van Dyne at mvandyne@mtech.edu.